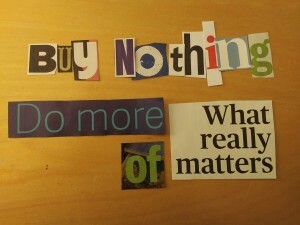 Yet unlike millions in this world of mass consumption and waste, it’s not shopping I’m addicted to, rather the opposite. 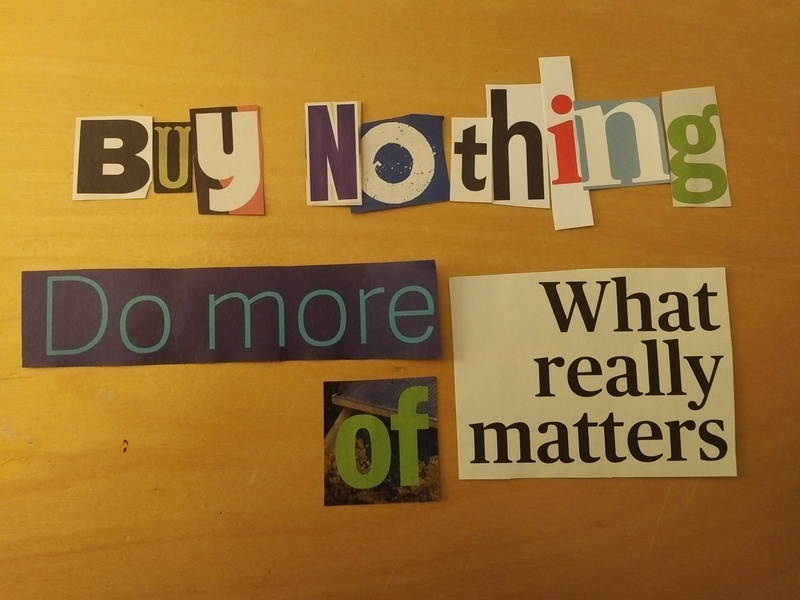 I’m addicted to inventive ways to make “buy nothing” work whatever the circumstances. It started many years ago when I moved to Australia to work for a year. I resolved to live the year without buying anything new. Then my rules were relatively simple – stuff, be that clothing, furniture, household gadgets etc etc, had to be bought second hand, scavenged, borrowed or done without. I managed well across the year and only had to buy three things new – a mattress (it’s illegal to sell secondhand mattresses in Australia), a smart dress (when I spilled coffee all down the front of the one I was wearing half an hour before an important client meeting) and a top (when I was meeting a guy for a date and didn’t have time to go home and change a jumper that was just too warm). I still have the dress and top nearly ten years later so perhaps they weren’t such bad buys after all. So when Camden FoE turned the buy nothing day into a monthly event I was the first to put my hand up. I have to confess I’ve not always been successful but each time attempted to live a day without spending anything I’ve been reminded of how much we spend without thinking. One month I had planned how to go to my book group for the evening on zero cash (cycle home, eat, cycle out, drink water in the pub) but was completely scuppered by a work emergency which meant I needed to take the tube straight from work, eat whilst I was out and then think, well I’ve already failed so a glass or two of wine on top won’t matter. The following month I had a date. My date had found somewhere to go for free with free refreshments and again I relied on my bike. Only to find myself with a flat tyre in central London at 11pm with little choice but to jump in a black cab with my bike to get back home! I am delighted to say that last month I finally managed to last the whole day without spending a single penny. And no, I didn’t just hibernate at home. I ate home baked cake with a friend and then went to a corruption lecture in the evening. A fabulous day, and all for free. Join us on the 25th and see just how addictive buying nothing can be.